Paper is easy to misplace and hard to share. Digitized files can be easily stored, found, and shared with those who need access with Enlighten.Net’s Search Integrator. Our paperless document management solutions empower you to organize and find the documents that you need. With no additional programing required, you can now connect different software systems on your network. Our Search Integrator module, designed to work in tandem with the Digital File Manager, adds additional search capabilities to all of the software on your network. The Search Integrator, an optional module, can be used with Net.DFM. It lets you search documents or shared files simply by hovering or clicking on text displayed by any software on your network. Incredibly easy to use. Search Integrator connects your business software or other network software to the Digital File Manager. The Search Selector takes the text your employee clicked on, or hovered over, and submits it to the powerful search engine, displaying your search results. 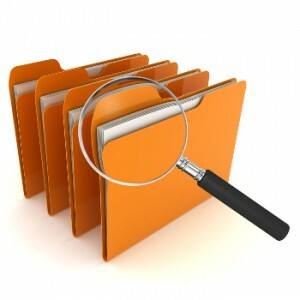 Our Search Integrator is a great addition to our digital file management software. Eliminate wasted time that you would otherwise spend searching for documents. With time-sensitive issues, you can respond efficiently to customers, auditors, and coworkers. With the Search Integrator, your files are accessible with the click or hovering of a button. Our powerful software reduces cost and increases output. Employees who are working from home or work in different locations can access the files that they need to as well. They don’t have to be on-premise to see POs, invoices, contracts, or other files. Our digitized files and powerful search engine empowers your business to work more efficiently. Our search integrator works seamlessly with all your existing software programs and on your network. It lets you search for scanned invoices, reports, faxes, and other documents. The Search Integrator delivers real time results to distributors and manufacturers across the United States. Thousands of satisfied customers rely on our digital file management solutions to manage their files. We offer a money-back guarantee. If you are not satisfied with the software within the first 90 days, you can return it. We’re confident you will love our digital file management solutions — because we’ve never had to issue a refund.